VISITING PARIS? Let Paris By Metro help you see more of the city and suburbs without getting lost - it's the easy to use app that no traveler should be without. 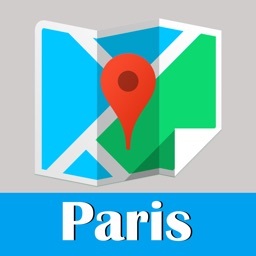 Perfect for the holiday or business traveler, Paris By Metro will save you time and money with detailed transit maps, route planners, currency conversion, and travel tips. 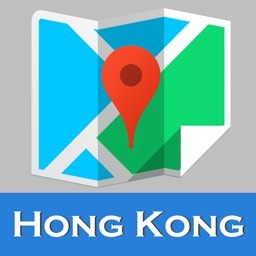 Leave your heavy guidebook and hard-to-read maps at the hotel. 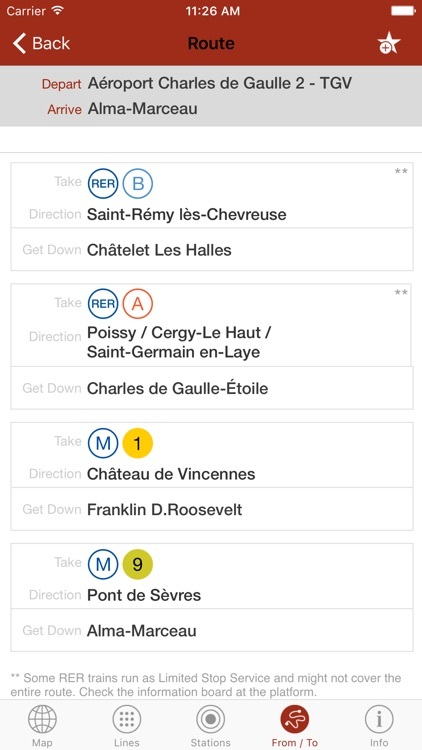 Paris By Metro will show you detailed maps for the Metro (subway), RER (train), and tram right on your iPhone or iPad. Zoom in for a closer look, or zoom out to find where you're going. 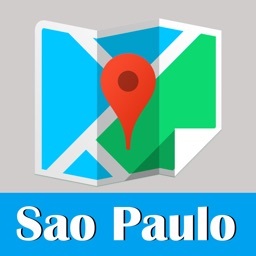 See the whole Metro or any one line, as well as transfers to the train, tram, or other lines. 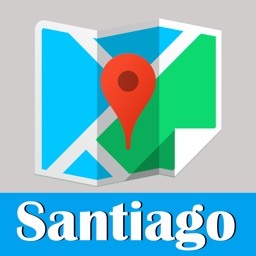 The app even works without a data connection if you are underground or turned off mobile roaming (a money saving feature!). Save time and make your trip more enjoyable by letting Paris By Metro show you the best ways to get around the city.  Need the fastest route? Want to minimize your walking? 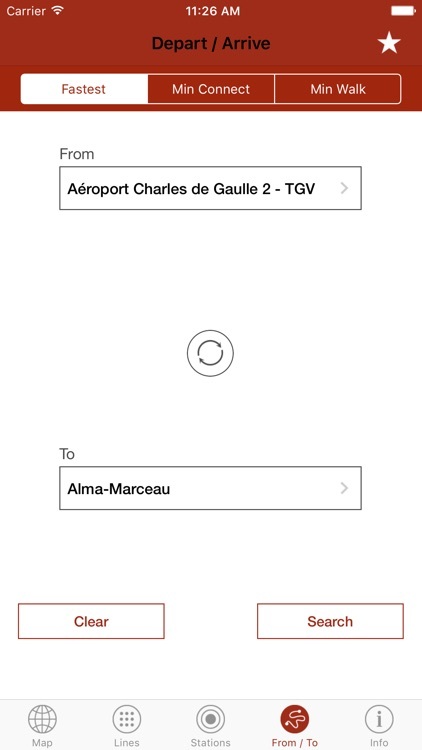 Just tell Paris By Metro where you are and where you want to go, and this smart app shows you the best travel plan. It's perfect for getting to Paris' most famous sights and the airport quickly. Visiting the Eiffel tower? Want to see the Louvre? Paris By Metro lists the city's top attractions in one place, along with the best Metro stops to get you there and the official websites to click for more information. There are dozens of transit stations in Paris and its suburbs, and Paris By Metro gives you the details on each one. Choose any station and easily see the important travel information to help you get where you're going. 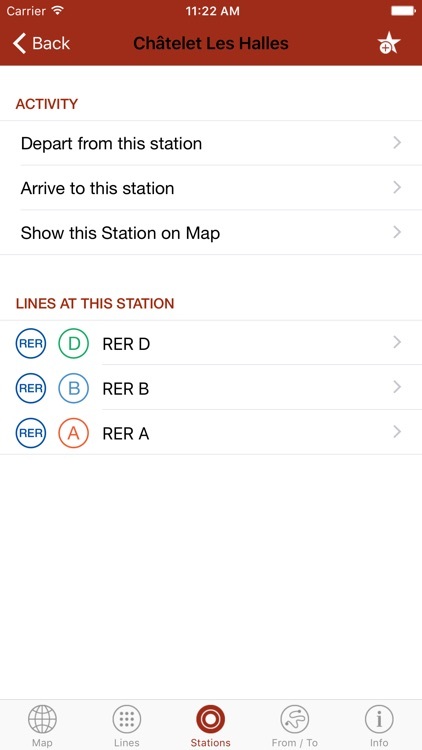 Add stations you visit frequently (such as the station near your hotel) to your favorites list so you quickly find it later. 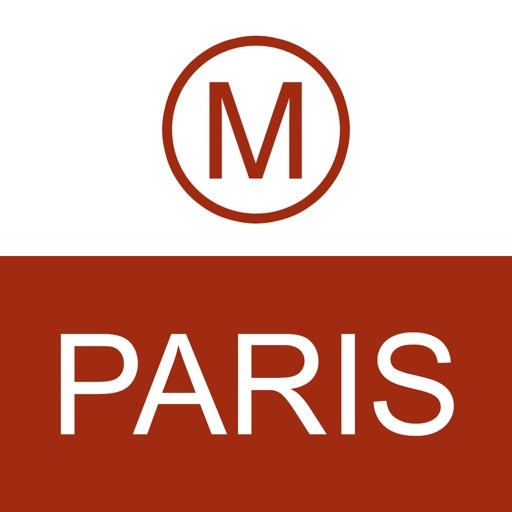 Paris By Metro also helps you enjoy your trip more by giving you important travel tips. 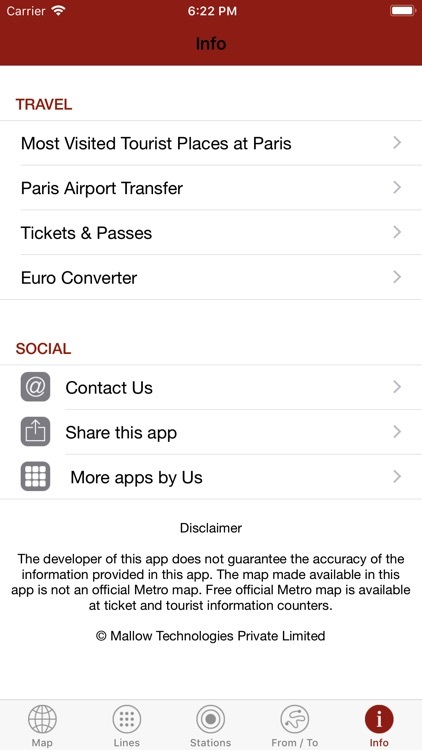 For example, the app includes helpful information on traveling to and from the airport, Charles de Gaulle (CDG) or Orly (ORY), as well as details on the tickets / passes you'll need to ride the Metro, train, and tram. The currency converter will show you how much that souvenir you want to buy costs in your choice of 61 popular currencies, including the US dollar, Japanese yen, British pound, Swiss franc, and more. Exchange rates are updated every 8 hours when you have a connection but the tool continues to work even when you are offline. 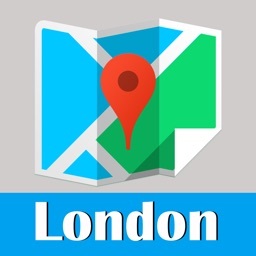 * Find Your Way - With detailed maps of the Paris Metro, train, and tram, you can easily find your way through the city. * Offline Access - Save money while traveling by not paying for roaming charges on your mobile phone (Currency converter requires Internet access to update every 8 hours. Few Analytics, related to the app, will be gathered only when the app have access to WiFi internet connection). * Save Time - Paris By Metro will show you the fastest and easiest routes between any two stations, helping you see more of your favorite sights. * Travel Tips - Find out the important details to help you have a great trip, such as traveling to/from the airport, money saving transit passes, and currency conversion. 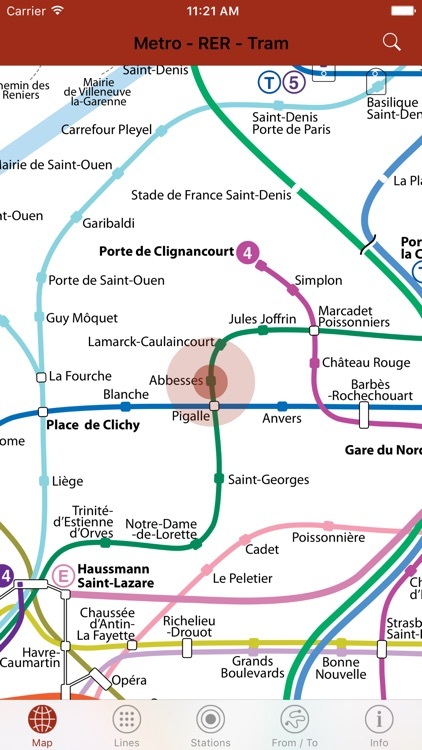 Make your trip to Paris even more enjoyable by getting the time saving transit maps in Paris By Metro. Download it today and bon voyage!